Organically certified with BioGro, TOSQ Vineyards are family owned and operated and have been producing quality grapes since 2004. Sue and Carl Thompson moved to the region in 1989 and planted the vineyard in 2001. The passion for growing grapes using natural farming methods has developed further into production of TOSQ Wines. 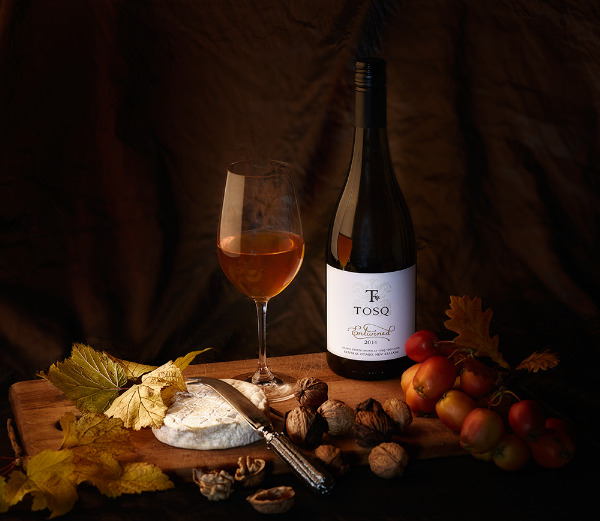 TOSQ specialises in Single Vineyard Pinot Noir, Pinot Gris and a little known variety, Flora, which is used to create their skin fermented wine 'Entwined'.